Native Americans tamed turkeys in 800 B.C. Domestic turkeys were initially raised for their feathers; however, around the year 1100, Native Americans began to rely on these birds as a food source. 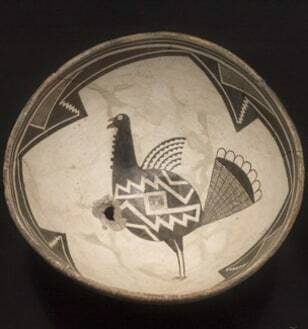 This Classic Mimbres bowl from the collection of The Amerind Foundation depicts a turkey.